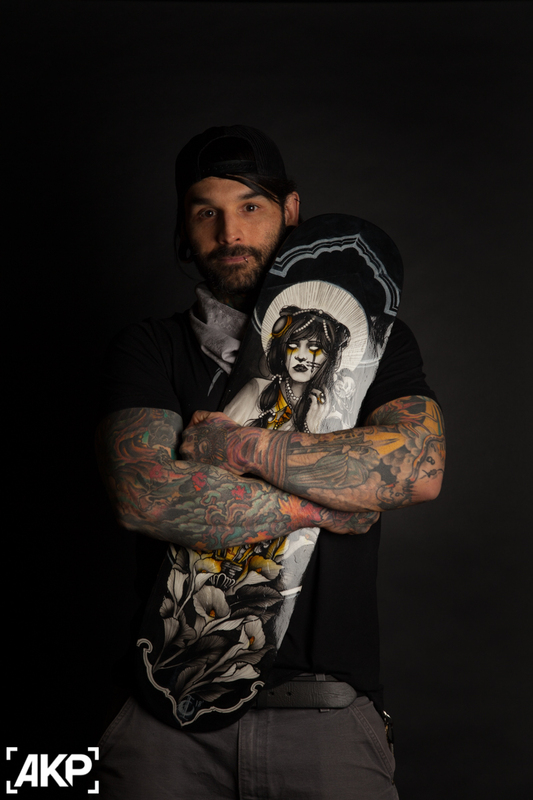 As part of my ongoing series of portraits centered around the artists that take part in Missoula's ON DECK skate art auction, I recently got to spend some time with tattoo artist Ian Caroppoli. I photographed him on a Friday night at Blaque Owl Tattoo in downtown Missoula, at what turned out to be a totally great session and really enjoyable time. As I set up whole mess of "stuff," Ian finished up with a few clients. We gradually transitioned to shooting, and were pleasantly joined by a handful of friends. Sometimes too many people present on a shoot makes me feel awkward, and sometimes too few makes me feel just as awkward. This session – spurred on by Ian's laid back demeanor and great attitude – was just right. Ian is obviously a talented artist, whether his canvas is a skateboard or someone's arm. 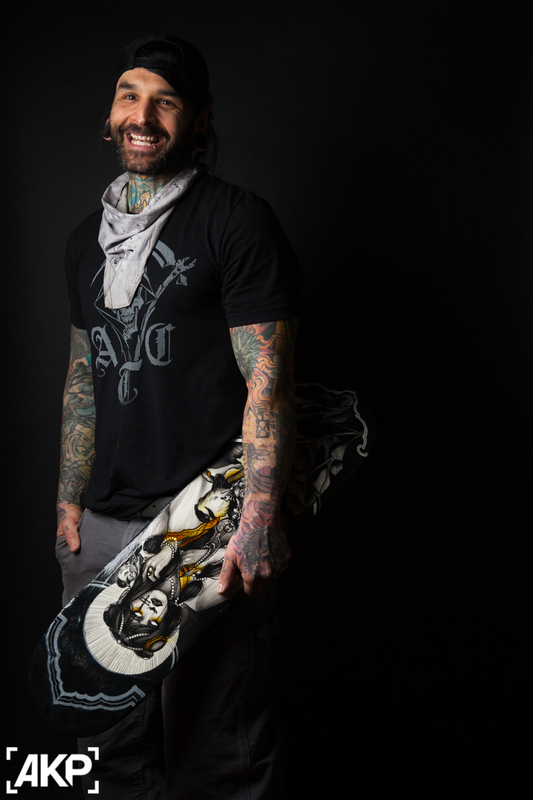 I hope to see his custom skateboard go for a lot of $$$ at the upcoming ON DECK 11 auction.